Marc was born an entrepreneur, and in 1989 at 21 years of age he went out on his own and started a construction company. 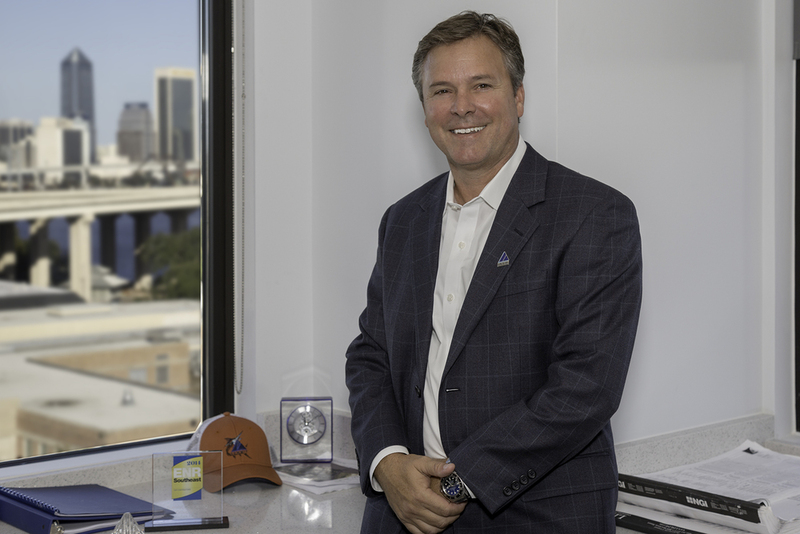 He started a residential construction company in central Florida that quickly grew and evolved into one of the largest specialty subcontracting businesses in the state. He found a niche in the painting industry doing large scale, elevated, surface preparation work. Where many companies were doing this type of work on residential and smaller multi-family structures, Marc found that there was a tremendous need for this work in the commercial and large-scale, multi-family sectors. His years of experience in the commercial plumbing and sprinkler business had taught him the very skills he would need to flourish in this new endeavor. The business boomed, and Marc quickly found himself overseeing a very profitable business with many employees, lots of equipment, and plenty of clients. His fleet of equipment quickly grew so large, that he launched his second company shortly thereafter that specialized in equipment repair. The business kept his fleet in good repair, and became a secondary profit center. The company continued to grow, and did work throughout Florida, Georgia, and Alabama, and for extremely selective clients like Disney. In 1998 Marc decided he wanted to get into general contracting. He put his business on the market, and it sold quickly. He went to work for Summit Contractors that same year in central Florida as an assistant superintendent. Opportunities came quickly for Marc and he was promoted in short order to superintendent. He built many multi-family projects for the company throughout the Southeast, and became known for his ability to beat schedules and to accelerate projects that had become bogged down for whatever reason. Again his supervisors took notice, and he was brought into the office for a tour in estimating prior to being made a project manager. He successfully managed projects for the company in the Southeast, Midwest, and up the East Coast as far north as New York; and became known as a frugal and efficient manager. In 2007, the entrepreneurial spirit took over again and Marc started Summit Contracting Group with the backing of the founder of Summit Contractors. The business started off focusing on hotel projects, but soon spread quickly back into multi-family. Marc became the sole owner of the business in 2008, and through the trust and relationships he had built with clients and his bonding company he was able to weather the financial downturn by focusing on the HUD market sector. Building a business in the middle of the downturn led to one inevitable event - when the downturn ended the company skyrocketed. By focusing on his clients, earning their repeat business, and delivering extremely high quality products, Marc has built Summit into the leading company in multi-family construction that it is today. Marc is licensed in Alabama, Arkansas, Florida, Georgia, Kansas, Louisiana, Mississippi, North Carolina, South Carolina and Tennessee. He is actively involved in the Northeast Florida Builders Association, First Coast Apartment Association, Florida Apartment Association, and the National Apartment Association, and supports a number of other industry organizations. 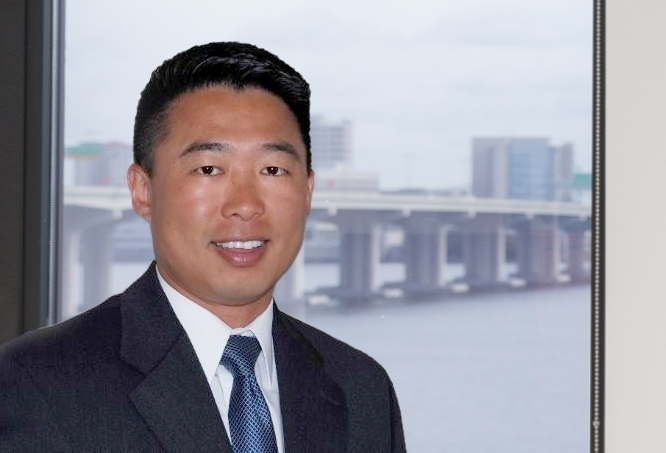 Marc was on the City of Jacksonville’s Streamlining Growth and Opportunity subcommittee, and was recently appointed by the City of Jacksonville Mayor’s Office to be on the Downtown Investment Authority Board. Marc is a family man, and enjoys spending time with his wife Nicole and their children. He also enjoys boating, fishing, hunting and restoring classic vehicles with his son Hunter whenever possible. He also actively supports a number of charity organizations in Jacksonville. In 2007, Summit had the foresight to further promote Nicole into the Corporate Services Department. In corporate services Nicole continued to develop into the key team member she is today; by managing many aspects of human resources, technology, insurance, and licensing sectors for the company. As a Contractor working in many states simultaneously with hundreds of employees, Corporate Services has always been one of the key divisions of the company. Navigating diverse licensing, insurance, employee and legal requirements throughout the United States is one of the hardest parts of the construction business, and Nicole excelled in all areas she touched. Leading into 2009 during the toughest days of the recession, Summit asked Nicole to head up the overhaul and revamping of Summit’s corporate marketing strategy. Through the creative use and integration of traditional marketing tools and the increased use of technology and social media Nicole kept Summit’s customer base, loyal and growing, through the worst recession the industry has ever seen! Finally in 2010, Nicole was promoted once again to the position of Chief Administrative Officer (CAO) where she serves today. Nicole’s knowledge of every facet of the company made her a perfect choice for this very demanding and ever evolving position. In her current role, Nicole oversees the roles and processes of administrative, accounting, human resources, and marketing departments through which she rose. Nicole is continuously revising and implementing new policies and procedures to ensure Summit is always ahead of the curve. She is also heavily involved in corporate standards, corporate documentation, corporate policies, and continuous improvement in the company’s technology department. 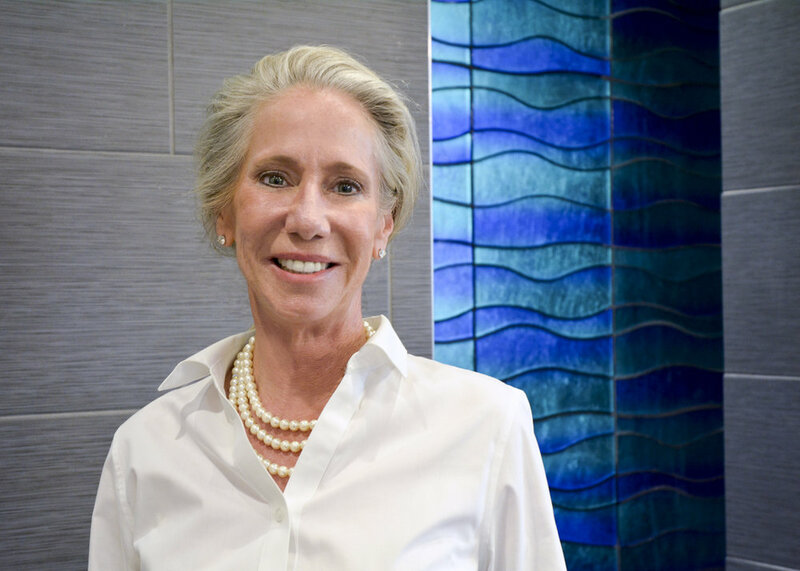 Nicole has been instrumental in developing and promoting the company’s current management team, and continues her team building and corporate culture efforts daily. Bernie is responsible for overseeing management, estimating, pre-construction services and project production within his Jacksonville based division. His leadership and knowledge assures our client / partners of quality construction that is achieved on schedule and within budget in a safe work environment. Born and raised in Mt. Vernon, Ohio, Bernie Cornelius has made construction his livelihood from day one. Upon earning his B.S. and B.A. from Ohio State in Construction Management and Business, Bernie immediately entered the contracting world and has worked in many facets of the industry. His 25 plus years of experience are highlighted by his expertise in multi-family, student housing, motel and retirement housing construction. Understanding that life is more than just work, Bernie’s hobbies include golf, baseball, boating and offshore fishing. Dennis heads up the Atlanta Division of Summit Contracting Group. Dennis holds a BA in Construction Technologies and an AA in Civil Engineering. He has over 30 years of construction experience with the construction of over 20,000 Multifamily units to his credit. Dennis's experience ranges from Multifamily, Student Housing, Senior Living, Assisted Living, Nursing Care Facilities, and Condominium Communities. This experience includes several HUD projects. Fortunately for Summit, Dennis has worked with three developer builders in the past and with this experience, he possesses the ability to "walk in the Owner's shoes," while constructing a project for the client. Dennis's hobbies include motorcycling, fishing, hiking, and boating. Zach Andry has over 20 years of experience in the construction industry including Multifamily and Class A Commercial builds. He started at Summit as a Project Manager in 2013, and proved to be a valued team member with demonstrated passion for the industry and leadership skills. He was promoted to Division Manager in October of 2017. Zach holds a B.A. in Construction Management from the University of North Florida and is a Certified General Contractor in Florida. When he's not building apartments, Zach prioritizes time with his family and enjoys surfing. When asked what he loves about the construction industry he replies: "It is very rewarding to start with a clean slate (piece of ground) and watch what grows out of nothing to be a completed project. Much better than pushing paper all day!" Kerry Lim has over 20 years of experience in the construction industry. He started working as a roofer when he was in high school, and then moved to an intern position at an Architecture firm in McLean, VA. Subsequently, Kerry worked for a Master Carpentry/General Contractor performing Project Management work while in college. Kerry holds a B.S. in Building Construction from Virginia Polytechnic Institute and State University, and is a Certified General Contractor in Florida. After graduation, Kerry successfully managed Class A office towers, high end condominiums, hotel, and apartment projects. He started at Summit as a Project Manager in 2014 and showcased his managerial skills by completing projects on time and under budget. He was promoted to Division Manager in September of 2018. Kerry has a wife and two kids, and in his spare time he loves to go to his daughter’s gymnastics meets, travel, and try to play golf. Luke joined Summit Contracting Group in 2011, and has over 20 years of construction experience. He leads the Preconstruction Department and is responsible for all aspects of estimating including conceptual estimating, working through pre-construction activities, project bids, permits, and construction schedules. Luke has also proved himself to be an invaluable asset in the field of Business Development by creating relationships with new clients, as well as growing relationships with current clients, and managing workloads. In his recent years at Summit, Mike transitioned the company into utilizing the most recent cutting edge technology, while managing to increase productivity in the process. Michael is also one of few Certified SAVANT Dealers in Northeast Florida, offering top of the line home and office automation technology.